Last night JD received a gift all the way from the North Pole from the big man himself, Santa Clause! We read him the book that accompanied his elf and explained that this elf would be visiting until Christmas and would be reporting back to Santa if JD was being naughty or nice. Then came the most important part, naming this little elf. 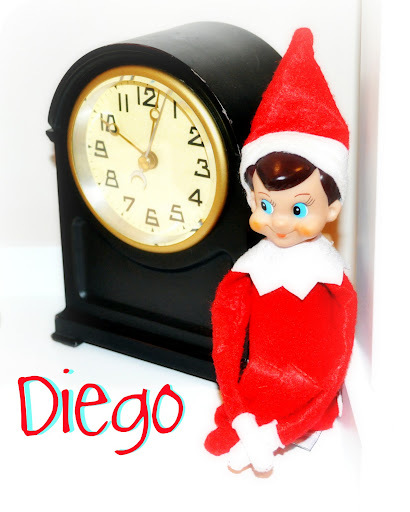 After a very long list of names JD decided on "Diego" and we carefully placed his new little buddy on a shelf. Now the fun begins, stay tuned!